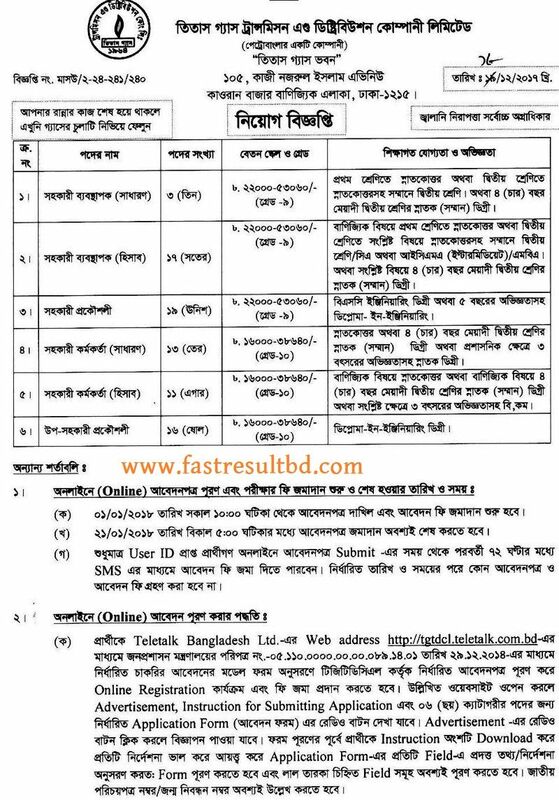 Titas Gas Job Circular 2018 has been published. Titas Gas Transmission and Distribution Company is a natural gas distributor in Bangladesh. The available posts are Assistant Manager, Assistant Engineer, Assistant Officer, and Sub-Assistant Engineer. The number of posts is seventy-nine. And the salary range is 16000 to 53060 Taka. The educational qualification for these post is Diploma Engineering pass to BSC pass. Source: Titas Gas Website and Job Site. Organization Name: Titas Gas Transmission and Distribution Company. Post Name: Assistant Manager, Assistant Engineer, Assistant Officer, and Sub-Assistant Engineer. Total Post: 79 (Seventy Nine). 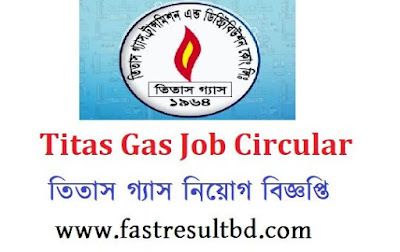 You can download Titas Gas Job Circular from the official site www.titasgas.org.bd and also from our website. Managing Director of this company. If you have any questions, please, comment below in the comment box. Please, share this post with your friends.